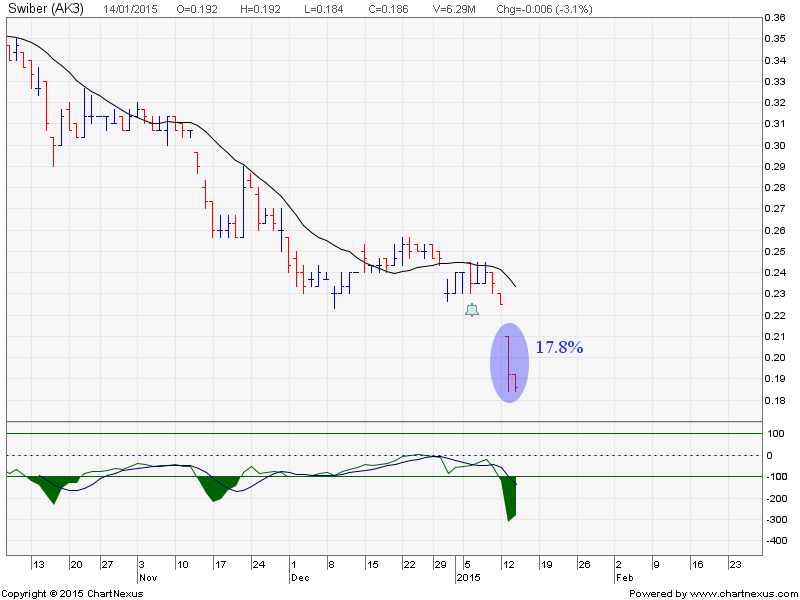 Today, I exited my trade on swiber with a nice profit of 19% after holding for 7 days. Buy Stock Make Money. Sell Stock Also Make Money. Did you see it ! This Swiber trade is my second GOOD trade of the month. It garnered me a return of 17.8% in just 2 days. A big fat profit for me! This stock call was posted here on Monday and the next day, it just gapped down. This is what you will get when you short a dead stock. See an article here where I wrote about dead stock last month. My Unit Trust Investing acumen is also as good as my Stock Trading with Razor Sharp Entry and Exit. You can view all my investment done last year here. I use Unit Trust for my investment because it allows me to invest anywhere in the world online when opportunity arises. Today, the financial market moves very fast and online execution is very important to me as it allow me to enter and exit instantly. Currently, Commodity, Gold, Silver, and Crude oil are at EXTREMELY low level and I am watching them closely for a signal to enter them for investment. If you would like to learn an investment strategy that can help you to enter and exit your investment portfolio with razor sharp accuracy and double your money every 3 years to grow your CPF and cash fund, register for my Saturday seminar here. There is an entry signal to short this dead stock. Just short it ! 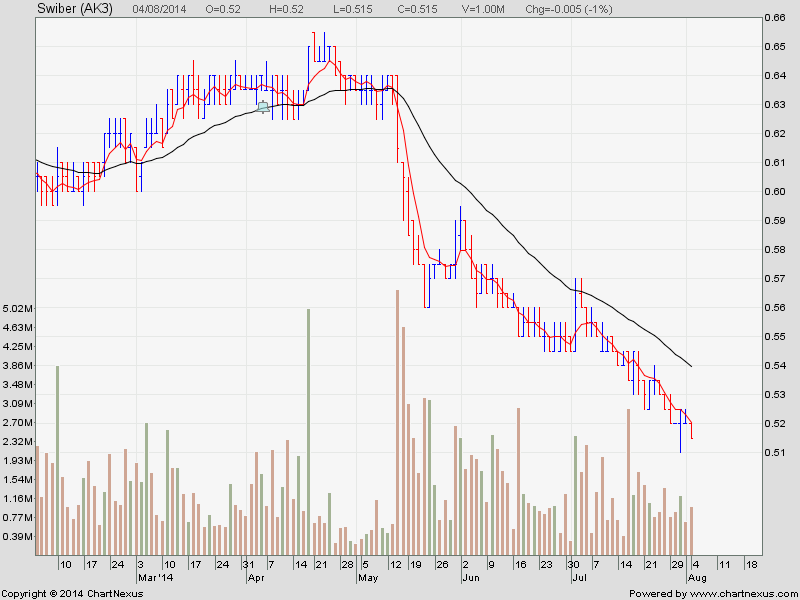 Swiber has been on a nice downtrend since May 2014. Currently, it is going through a slow death because the BBs are slowing selling their holding everyday.